This summer we launched the Energy Builder Campaign to bring the men and women who work on the energy supply chain together in an aggressive campaign of local activation, earned media and rallies in support of new energy infrastructure and to shine light on the radical ‘keep it in the ground’ movement harmful and, in many cases, dangerous activities. As we prepare for 2018, we would like to take a moment to reflect on what we accomplished together this year. With the help of our partners, we are committed to ensuring that 2018 will be even more successful. Energy Builders worked with and prepped industry members to turn out and testify at hearings in support of major projects at state-level public permitting hearings in Minnesota, Pennsylvania, Virginia and North Carolina. Letters to Editors were placed, including a January letter to the Richmond Times-Dispatch in support of the Atlantic Coast Pipeline by Energy Builders member Mark Romer (James River Equipment, VA and NC) and a September letter by member Jay Cleveland (Cleveland Brothers Equipment, PA) in the Wall Street Journal objecting to NY Governor Cuomo’s “blockade” of natural gas pipelines through New York State. October 19th Harrisburg Rally for Natural Gas and Pipelines: Energy Builders staged a rally in Harrisburg, PA, bringing together 400 people from 65 supply chain companies. 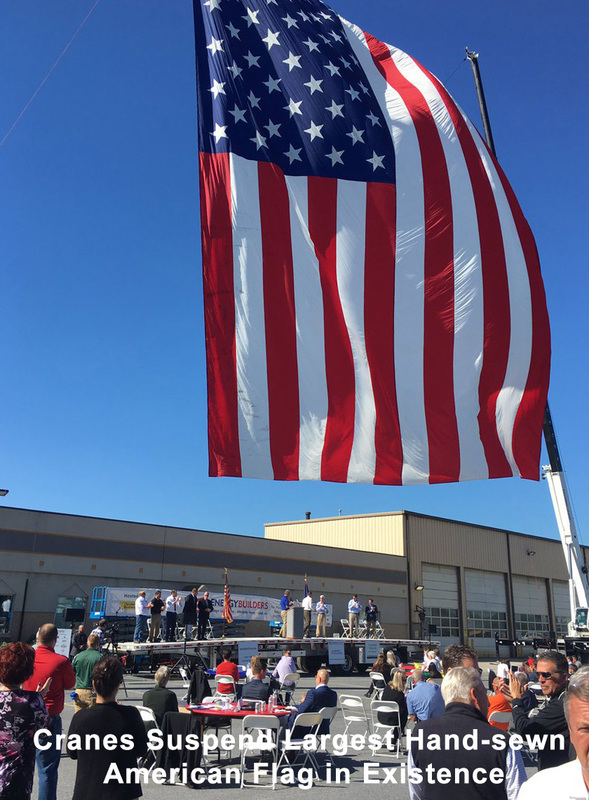 Rally speakers, including influential supportive members of the Pennsylvania state legislature, delivered strong messages to PA policymakers, the public and the media in support of natural gas production and new pipelines in the state. Check out the video! Supporting the Atlantic Sunrise and PennEast Pipelines: Energy Builders member Pennsylvania construction and equipment suppliers turned out in force among more than 400 energy and pipeline workers from northeastern PA at a rally on July 20 in Tunkhannock to show support for energy production and two major new pipeline projects needed to deliver it to consumers. In June, Energy Builders mobilized over 70 members to submit letters to the PA Department of Environmental Quality urging approval of necessary water-crossing permits for the Atlantic Sunrise Pipeline. In December, Energy Builder’s Toby Mack testified to support the ACP before the Virginia Water Control Board during public hearings on permits for erosion control in steep slope and karst areas. Permits were approved following the hearings. Energy Builders sent out an Action Alert letter-writing campaign in August to support approval of critical water quality permits for the ACP. By the comment deadline, over 100 member letters had been submitted. Earlier in the year, over 100 Energy Builder members submitted letters to the Federal Energy Regulatory Commission urging approval of the Atlantic Coast Pipeline, which the Commission subsequently granted. 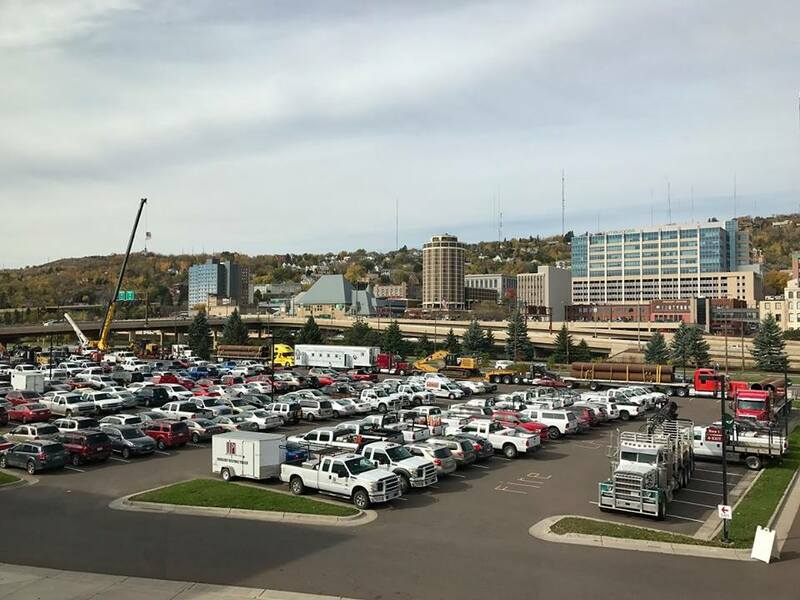 Working with Energy Builders member Bob Schoneberger of United Piping, we helped promote turnout over 400 company vehicles at a rally October 18th in Duluth, MN in connection with a MN Public Utilities Commission hearing on Line 3. Many members spoke in support of Line 3. Unfortunately, the hearing was terminated mid-session after unruly protesters threatened hearing officials. Through letters and direct contact, Energy Builders urged the Administration and the Senate to restore quorum at FERC so major pipeline project could be approved. Energy Builders led a group of 25 trade and labor organizations urging the Senate to hold an early confirmation vote, which was accomplished in late August restoring quorum. The national coverage highlighted the significant potential for safety, health and environmental disasters that could result from sabotage or violence against pipelines. Our activities drew stories by hundreds of online, print, radio and TV news operations from coast to coast, including national and major media markets including The Associated Press, The Daily Caller, Washington Post, New York Times, Duluth News Tribune, Houston Chronicle, Philadelphia Inquirer, and San Jose Mercury. Launched “The Incident Tracker”: Energy Builders launched “The Incident Tracker” an online database dedicated to tracking and exposing attacks on critical energy infrastructure. 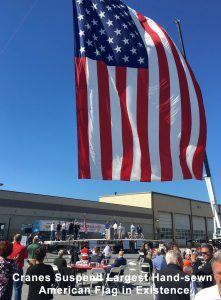 The launch was timed to coincide with the Congressional letter to Attorney General Jeff Sessions expressing their concern with the rise in attacks on America’s energy infrastructure. The announcement gained substantial national media coverage. 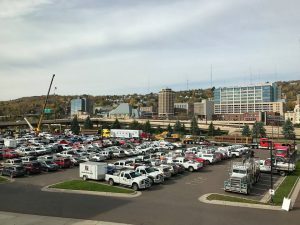 Taking Action Against US Bancorp: Energy Builder organized a campaign to protest US Bancorp’s new policy denying funding to supply chain companies supporting pipelines and fracking operations. Letters were sent to the Trump Administration, along with over 300 members’ letters objecting to the policy to their Members of Congress. As a result of calling attention to the policy, many members reported reviewing, cancelling or declining to accept credit facilities involving the bank.